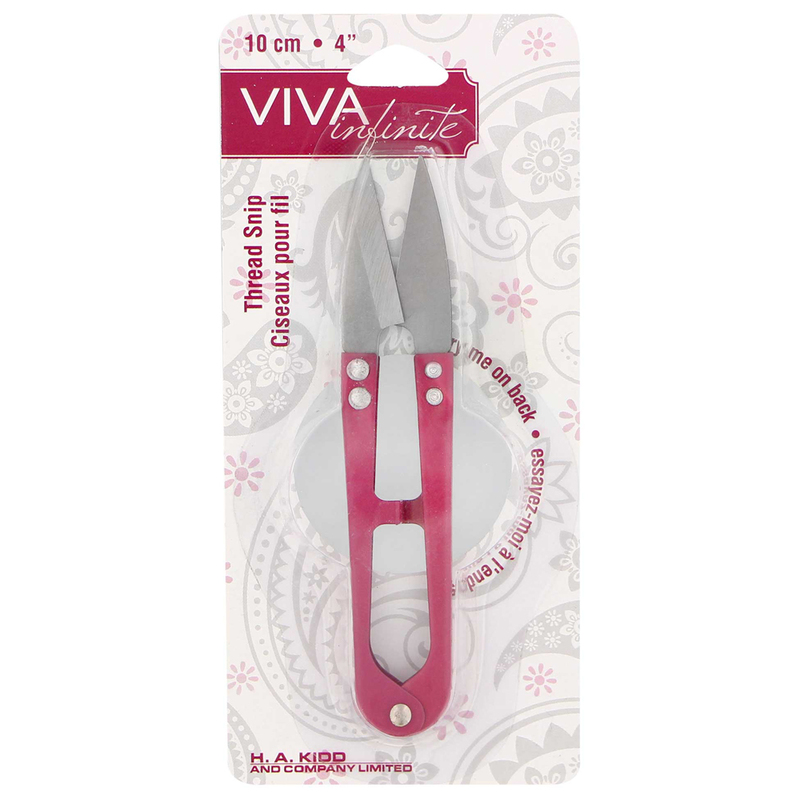 Home > Notions > Scissors > VIVA INFINITE Thread Snips - 4"
VIVA INFINITE Thread Snips - 4"
Small enough to fit in the palm of your hand. Easy squeeze action makes snipping threads fast. Protective cover when not in use.